"Long is the way and hard, that out of Hell leads up to light". 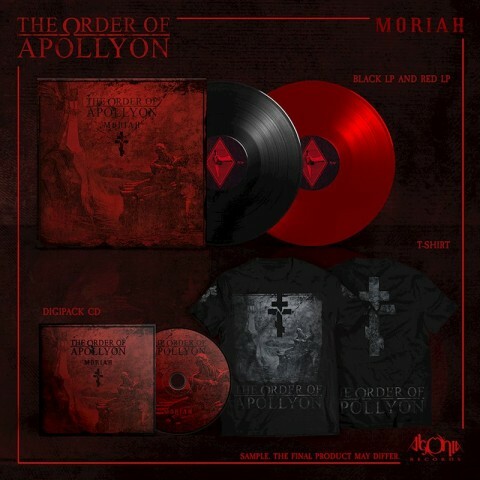 Review and stream of The Order of Apollyon’s album "Moriah"
It’s been a long road for The Order of Apollyon, despite this being only their third outing, a lot has happened in that time, with a complete line-up change from the initial album (save project mastermind B.S.T. ), their second album "The Sword and Dagger" whilst solid, carried with it some missteps as the band found its feet with new members S.K and S.R. With the addition of A.K on their newest release "Moriah" not only have they found their feet but they have set a blistering pace for black/death in general. 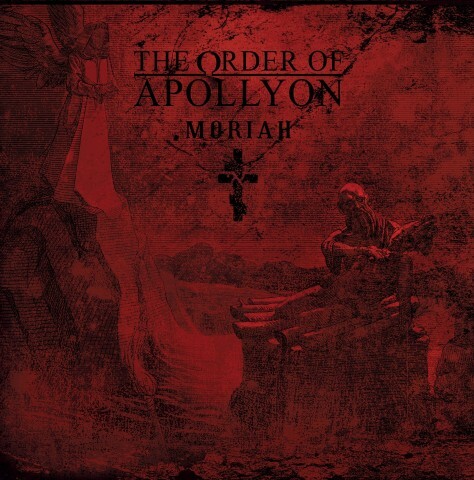 The Order of Apollyon has always been a supergroup of sorts however the members featured on ‘Moriah’ are a veritable powerhouse of French insanity, featuring members of such great acts as Sektarism, Merrimack, Arkhon Infaustus, (ex-)Aosoth and VI. 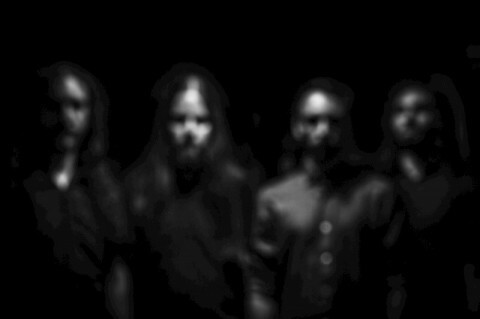 However it’s almost unfair to label the band a 'supergroup' as The Order of Apollyon is now a collection of artists that have long-standing ties with each other and all of them have helped shaped French black metal over the past 10+ years, this is not a supergroup but a collaboration of artists from a tight-knit community. After the most recent release of Aosoth "The Inside Scriptures" and BST’s subsequent departure from that band, I was left wondering how much of Aosoth’s influence would be felt on "Moriah", perhaps some lingering riffs might have found their way into "Order of Apollyon", if they have I can’t tell, this is a unique and fully fledged beast. The first glimpse of what was to come was hinted at last year with the powerful, and painfully short split between Vi, The Order of Apollyon and Temple of Baal; "Trident of Flesh" that appeared on that split makes an appearance again on "Moriah". "Moriah" is by far their most mature work to date and showcases not only songwriting prowess but also a deft approach to crafting a coherent album that feels part of a greater whole, with its own unique qualities about it. Surprisingly, in a band populated with musicians from stellar black/death bands (Arkhon Infaustus and Temple of Baal) there is not a great amount of influence from those projects present, perhaps the biggest sonic comparison is BST’s long since dead project Balrog, with some of the catchiest riff passages I’ve heard in a long time. 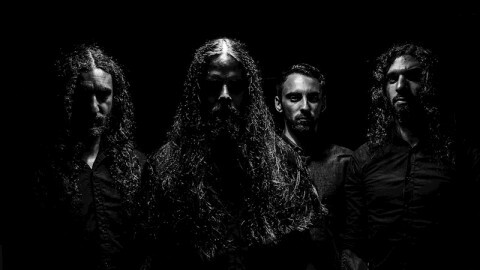 The music found within "Moriah" is punchy, savage and laden with great riffs, if people are looking to Behemoth for great black/death content then they need to shift their perspective here. Through its 8 track, 45-minute runtime it never overstays its welcome, it builds tension and releases it at the right times, sometimes delivering brutal death metal grooves or soaring into black metal tremolo driven delights (that riff in the middle of "The Cradle"!!!). The band is tight, focused and on excellent form; there is no fat on the bone, not one drop wasted, The Order of Apollyon have finally arrived in their full splendour and it is magnificent. The Order of Apollyon are B.S.T. (guitars and vocals), S.R. (guitars and vocals), A.K. (bass and vocals), and J.Z. (drums). Follow TOOA on Facebook and Instagram, and be sure you've liked Agonia Records on Facebook.